I had the opportunity to spend the weekend with them, facilitating some of the sessions. I arrived as a teacher but left as a student, reminded of what it means to live out my covenant of love and Schoenstatt spirituality. Nine Girls’ Youth leaders spent the weekend learning about how to live a healthy spiritual and physical lifestyle by following the ideal of the Living Crown. This included conversations about some of the challenges and opportunities facing them as teenagers living in South Africa today. 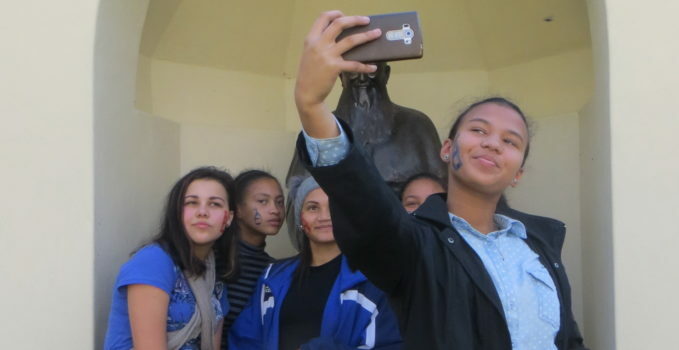 Without even having mentioned the pre-Synod, the girls were quick to identify that technology is both a central part of life for young people today but it also offers many challenges. For them, one of the biggest struggles is how how to maintain a sense of authenticity in an online environment that is driven superficiality and appearances. 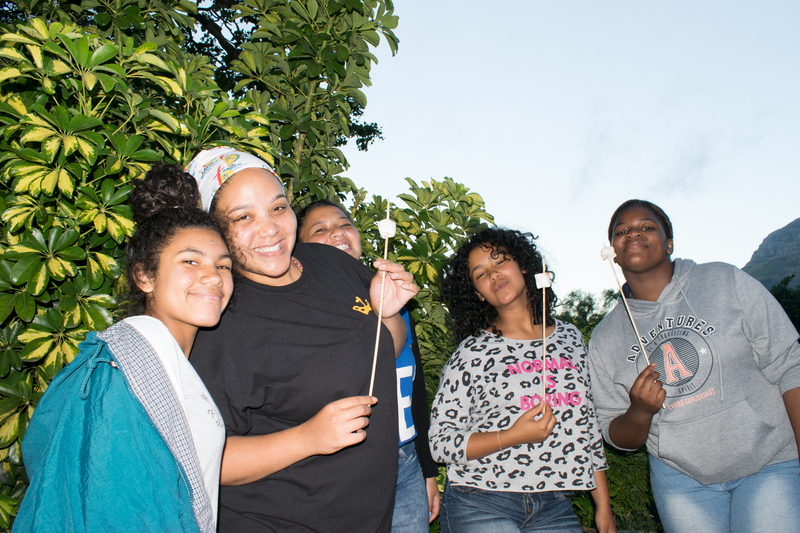 Towards the end of the weekend, the focus shifted to planning for upcoming Girls’ Youth events, among them the traditional week-long Winter Camp for high school girls that is held in July each year. During this planning session the leaders identified the need for girls to have a “safe space” to be themselves and where they can form wholesome friendships. 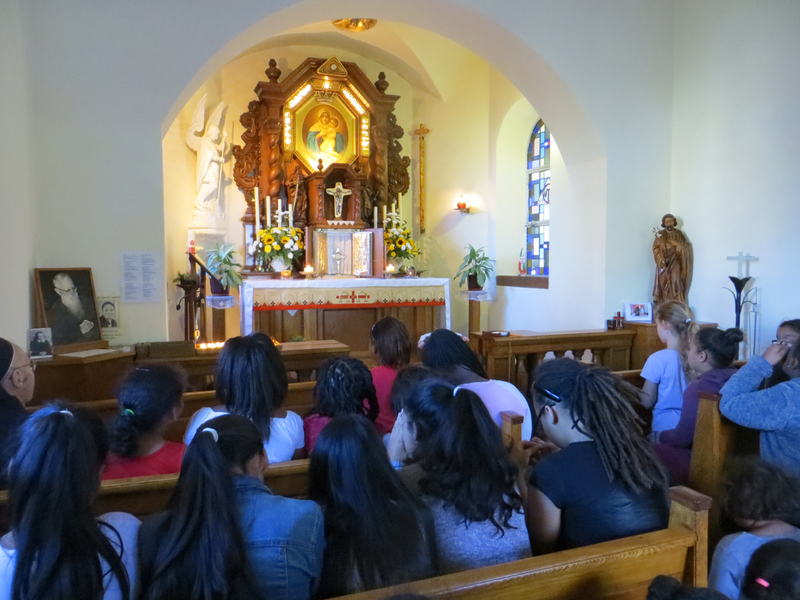 For them, Schoenstatt and the shrine is a “safe space” where they have had fun and grow as young women and they want to be able to share that experience with those who come to the Winter Camp. Using youthful language, this statement highlights two of the graces we receive from the shrine. The grace of a home is precisely the feeling that the shrine is a place where we can be themselves and feel safe. Forming new friendships and learning to become authentic is also the fruit of the grace of transformation that we receive in the shrine. “Safe spaces” for the younger girls. One of the girls took this a step further, saying that as leaders they need to be “safe spaces” for the younger girls. 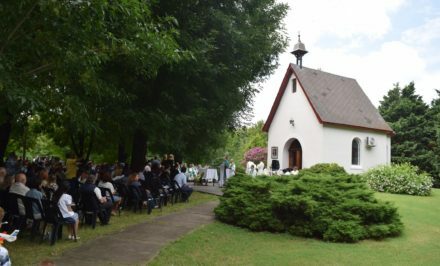 Again, this is a very youthful way of communicating what we understand in Schoenstatt as the deepening of the shrine current. 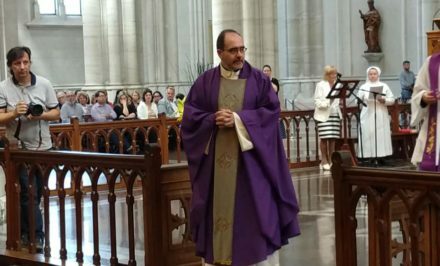 We start out as pilgrims to the shrine as a physical place, but as we deepen our living in the covenant of love our hearts become shrines and we carry the Blessed Mother within her as we move through our day. Now the graces of the shrine can be found in us. 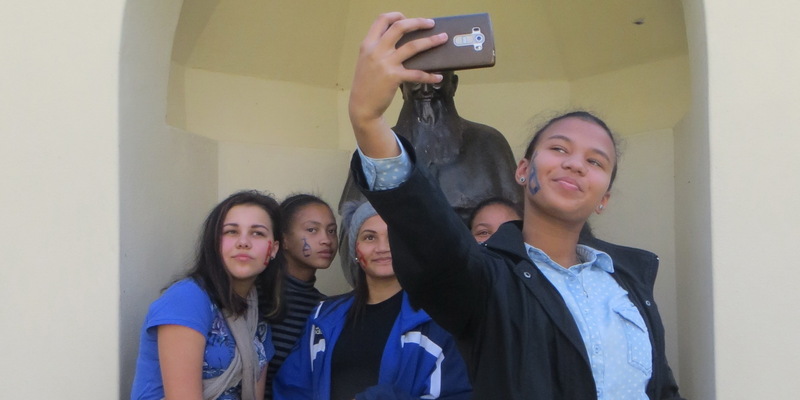 The Girls’ Youth leaders have internalised this process and recognize that they too are called to be heart shrines, in their words, “safe spaces” where other girls can feel at home and comfortable enough to be authentic. 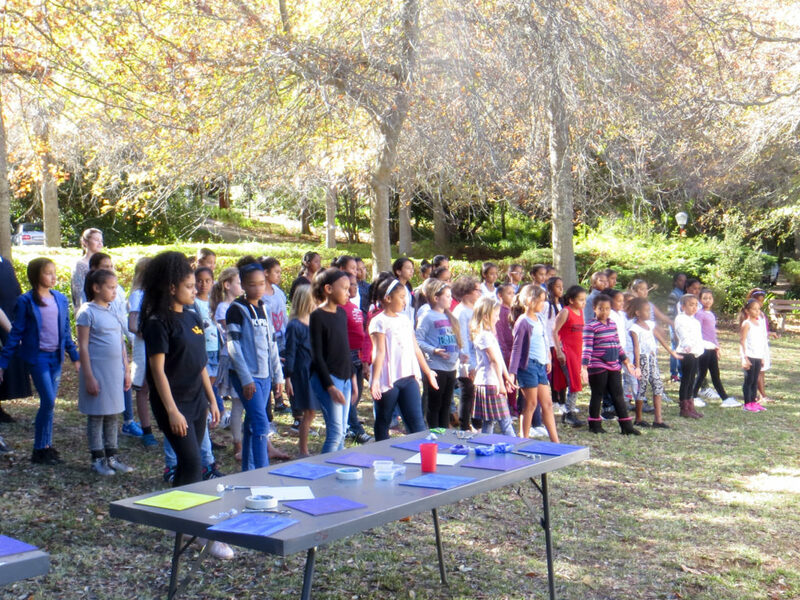 The leaders resolved to use this year’s Winter Camp to practice being “safe spaces” for others. They said they would do this by “getting out of their comfort zones” of hanging out with each other, choosing rather to actively seek out the younger girls, drawing them into their confidence and friendship. 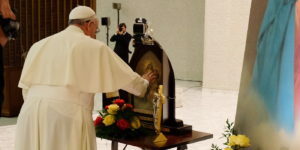 They acknowledged that this simple action is a doorway for self-discovery and an encounter with Mary who is the true role model of a woman who lived an authentic life. I returned home exhausted but completely inspired by the Girls’ Youth leaders! After spending the weekend listening to them, I feel that I learnt more from them than they did from me! Very often, we know our Schoenstatt “theories” and we have a rich vocabulary that describes what our life in the covenant of love should be. But it is a good idea to sometimes take a step back and listen to the youth who haven’t yet learnt the theory, but are simply experiencing the newness of covenant life for the first time. 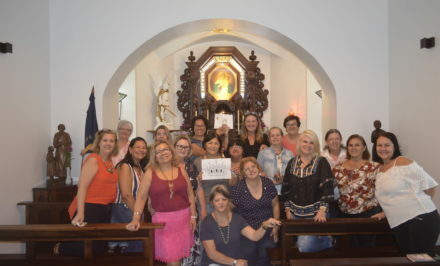 They don’t have the Schoenstatt vocabulary, but they have a unique language that describes what they are experiencing. 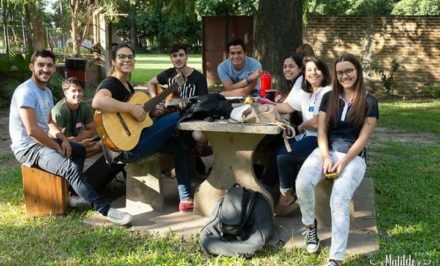 Hearing their experiences and their youthful desire to bring it to life is a strong reminder of what we, as older members of the Schoenstatt Family, are also called to do. More than this, these nine Girls’ Youth leaders suggested solutions of how we can draw young people back into the Church. This was the question that Pope Francis asked of the 300 youth representatives at last month’s pre-Synod. The girls acknowledged that there are more things that they feel the Church should be doing for them to help them deepen their lived faith. But they are not waiting for the Church to first draw up programs and courses. They are proactively being Church for others. They are reaching out to other young people their age and offering them a safe space in which to discover the meaning of their lives by offering them a different way that gives young people the courage to counter a culture of superficiality.